Sancerre Estate is a B&B nestled in the hillside at Ballandean. With a picturesque view overlooking the vineyards across to the hills in the south, you can't help but feel relaxed. The vineyard was purchased a couple of years ago by Brett and Stacey Allan and renamed Sancerre Estate after being inspired by a trip through the French countryside. 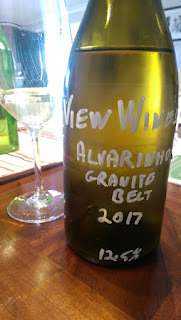 Wines produced from estate grown fruit fall under the View Wines label. Old vines have been reinvigorated and new plantings have also taken place. 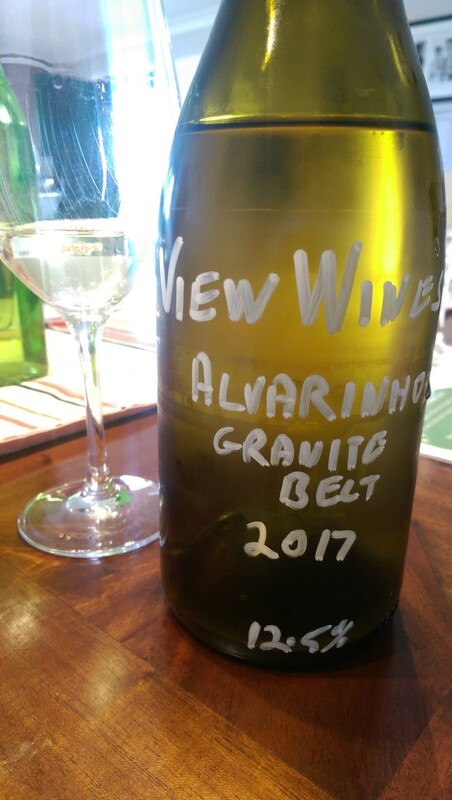 Only four wines make up the range at this stage - Semillon, Sauvignon Semillon blend, Merlot Rosé and this Alvarinho. This one of a few Alvarinho (Albarino) plantings in the Granite Belt region and it seems to have found a happy home. A meagre 50 bottles were produced off the young vines - this the first production. It was a privilege to have the opportunity to have a sneak peek at what lay ahead. The wine was made by the talented and classy Glen Robert at Bents Road. Attractive aromas of pine lime and tropical fruit captivate immediately. There's a suggestion of lemon pith and some minerally characters working in unison with a skinsy texture. Finishing dry and pithy, it's exciting to think where this could be heading in future vintages once the vines establish themselves. A great first up wine.